What Can Happen if Your Air Filter is Not Filtering Properly? 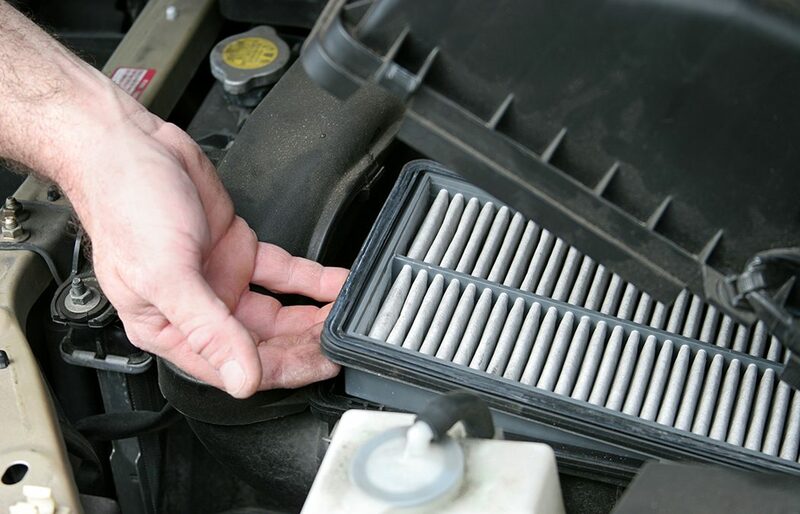 Whether you complete your own routine maintenance on your vehicle or take it into your favorite service center, you probably always wonder if you really need to change out all the filters as often as recommended. After all, if your engine air filter is a little contaminated, won’t it still protect the engine? Let’s do some quick fact checks to find out. What Does the Engine Air Filter Do? Your engine draws in air every time it goes through a combustion cycle, sucking it in as the pistons move back down the cylinders. Your air filter stops debris from getting into the cylinders, reducing friction and allowing your engine to operate at peak efficiency. What Happens to the Engine if the Air Filter is Damaged? If you leave the air filter in beyond its recommended life, it is possible that the filter medium can become damaged and allow a portion of the dirt and debris it is supposed to stop into the engine. This dirt will then mix with the engine oil, reducing its ability to protect the engine. The resulting grit can be harmful to the cylinder walls and bearing surfaces. This damage will lead to reduced engine performance and, if allowed to continue, could cause complete engine failure. You really do need to change out your air filter according to the schedule set by your owner’s manual. The filters are designed to last and effectively protect your engine and its oil only for a specific amount of time—usually between 15,000 and 30,000 miles. What if You Use a Different Air Filter? While you might find an air filter made for a different vehicle that has the same dimensions as the one made for your vehicle, it may not seat perfectly onto the filter mount. This can allow unfiltered air to slip past and damage your oil and engine. Do the right thing and get the filter specified for your car. Your engine is a carefully crafted machine and every part, including the air filter, works together for the best performance. When you skip a simple step like replacing the air filter, you risk damaging your engine.